Fill out the form with any questions or inquiries you have for the sales consultants at Retreat at Lake Brantley. You can also call or chat with us for immediate responses. Head West on FL 434, past I-4. Turn Right onto Sand Lake Rd. Turn Right onto W Lake Brantley Rd. The community will be on your Right after the curve. Head East on Welch Rd. Turn Right onto N Hunt Club Blvd. Turn Left onto Sand Lake Rd. Turn Left onto W Lake Brantley Rd. Head North on FL 434, past 414 and 436. Head West on FL 436, past 434. Head East on FL 436. Turn Left onto N Hunt Club Blvd. Take exit 94 and head West on FL 434. The life you want to live is waiting for you at Retreat at Lake Brantley. Explore this community and see for yourself. The new construction Pinnacle home features an open kitchen, gathering room, covered lanai, den, and Owner's Suite with a huge walk-in closet. Find the flexible space you need in the new construction Dockside: a super owner’s suite, an optional multi-use loft, and a 3-car tandem garage. Build your dream home in Longwood. From the welcoming gathering room and multiple flex areas to the oversized game room upstairs, space abounds in the new construction Mariner. The new construction Gardenside features an open concept main floor living and dining spaces, with a large kitchen island overlooking the great room, perfect for entertaining. With a plethora of options to customize the new construction 5,100+ sq. 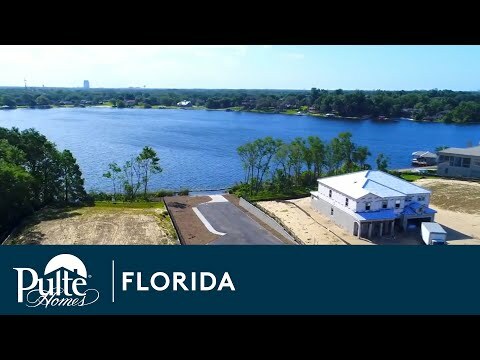 ft Casabella, this home is waiting for you and your family to build your dream home in Longwood, Florida. Wood-Look Poreclain Tile in Main Areas! Beautiful Owner's Bath w/Walk-In Shower!